Automation of many graphical constructions, including simple ones like channels, trends (higher highs / lower lows) or Fibo grids, requires defining a "refined movement", i.e. price passing from local minimum to local maximum and from local maximum to local minimum. 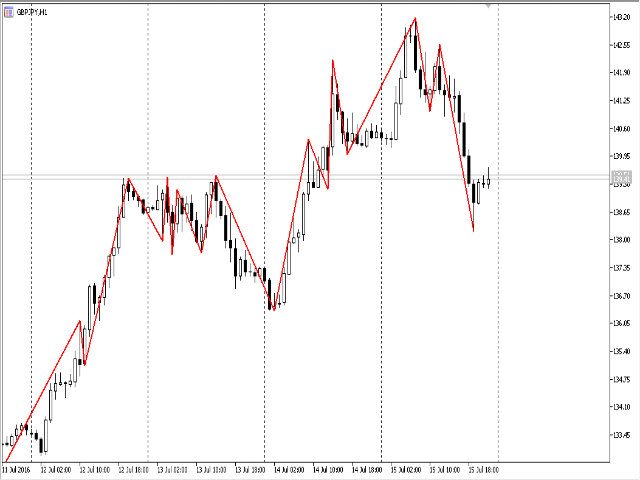 This task is efficiently solved by ZigZag indicator included in the standard MetaTrader delivery set. However, conventional ZigZag has a number of drawbacks. the indicator is fine tuned by three parameters significantly slowing down optimization. Considering that changing one parameter affects the impact of the remaining two, the optimization process may fail in finding a reliable extreme value. Having all this in mind, I have developed a much simpler algorithm of defining refined movements. 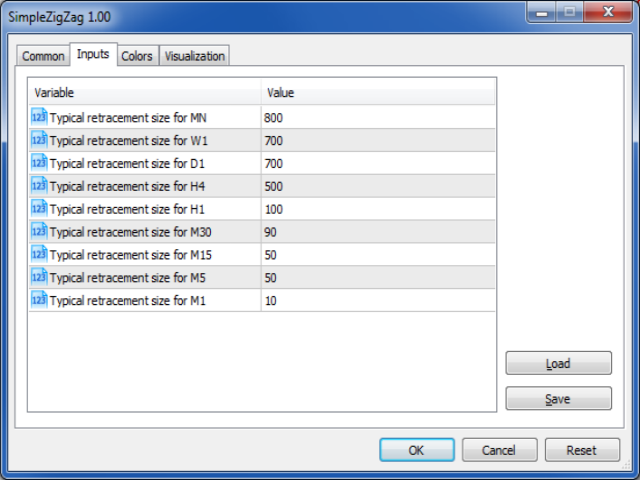 contains a single parameter - standard pass length (set to be different on different timeframes for more convenience). The indicator solves the task visually by highlighting local maximums and minimums and plotting refined passes between them. This tool allows you to develop a simple EA based on Fibo corrections. One of the provided screenshots displays clearly recognizable trend and correction movements which is critical for developing an EA using Fibo corrections. Now, the indicator works correctly in the tester's tick mode.